Sri Lanka Equity Forum » Stock Market Talk » SFS,,,What happened??? 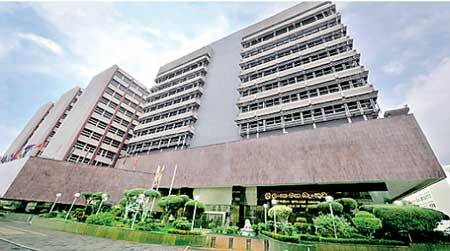 The Central Bank of Sri Lanka has sought information from the Suspicious Transaction Reporting Office (STRO) - Singapore’s Financial Intelligence Unit (FIU) - over the credibility of the Malaysian bidder for several assets of the EAP Group’s ETI subsidiaries. Despite the concerns that have been raised within local business circles over the credibility of the Malaysian businessman negotiating on behalf of a Singaporean company to buy EAP Group businesses, the Central Bank seems to have found no records of this potential investor’s involvement in any financial crimes, the Daily FT learns. “Singapore-based Straits Grid Pte. Ltd. has made an offer for $ 75 million to buy nine subsidiaries and properties belonging to ETI Finance Ltd. (ETIF). From the credentials provided to the Central Bank thus far there is no information that this investor is involved in money laundering or terrorist activities,” a senior official of the Central Bank told the Daily FT on condition of anonymity. Nevertheless, concerns are being raised over Malaysian businessman Sudhir Jayaram due to a host of matters including alleged criminal acts such as money laundering, with him being nabbed at the Bandaranaike International Airport (BIA) prior to his departure with $ 50,000 in undeclared currency in November last year. His son and another individual also had $ 50,000 each in their possession while the fourth individual carried $ 58,000. Thanks to political influence, Jayaram was released without suffering any penalty. Some sources say the authorities have launched a full-scale probe into the incident. Jayaram is also part of a consortium which includes SupremeSAT-fame R.M. Manivannan, engaged in the $ 250 million Horton Square mixed development project in Colombo 7, which the Cabinet Committee on Economic Management (CCEM), chaired by the Prime Minister, has raised various questions over. He was also named in the United Nations investigation into the famous Iraqi oil-for-food scandal in late 2000. The Central Bank has been in the know of the bid by Jayaram and the questionable credentials of his consortium. In spite of these concerns, representatives of the beleaguered ETIF yesterday met once again with the officials of the Central Bank to further discuss the potential investor. “The Central Bank has found no financial crime records against the Malaysian investor to take over the assets of the ETIF. However, the Central Bank has now requested further information from the FIU of Singapore,” he added. Sources said there had been several rounds of negotiations on the deal prior to the ETI and other finance company Swarnamahal Financial Services Plc (SFSP) which were brought under the Central Bank’s purview on 3 January. Upon receiving STRO’s response, the Central Bank will be in a position to submit a paper to the Monetary Board on the way forward with ETIF. Concerns include whether the Central Bank will allow a party with alleged questionable character to run a deposit-taking finance company i.e. Swarnamahal Financial Services. Doubts are also being raised over whether the Telecommunications Regulatory Commission (TRC) will issue a ‘no objection’ letter to change the name of the owner of the frequency leased to Swarnavahini of the EAP Group. This is in the event Jayaram and his partners succeed in manoeuvring the EAP deal in their favour using political clout. With a view to safeguard the interests of depositors and ensure the stability of the financial system, the Central Bank appointed a new management panel on 3 January to oversee the troubled ETIF and listed SFSP. Since then the two companies have performed to a satisfactory level, but the inflow through deposits has seen a decline, while loan recoveries and return on investments (ROIs) are continuing as usual, sources said. Speculation is driving this stock and can reach 2/- without any volume barrier. Only advisable for trading purposes. Why they not release price band??? @rasikagamage wrote: Why they not release price band??? Sri Lanka’s Central Bank (CB) is closely monitoring the deal between the EAP Group and a Singapore investment fund company to sell its subsidiaries of the group and rescue a struggling finance company, CB Governor Indrajit Coomaraswamy said in Colombo on Wednesday. The Singapore investment is meant to resuscitate the ailing Edirisinghe Trust Investment Finance Ltd (ETIFL). But he noted that potential capital infusion would not completely resurrect the ailing company. SFS is too impacted by the over speculation. However the chances are very low for an investor to pump money as it requires huge new capital first to meet the working capital requirements and then second to meet with new CB requirements by finance companies. Even if all these are made then there is a huge risk on restoring customer confidence. How many of the existing customers would like to renew their deposits? Who will plan to make new deposits with such a troubled company.